When you stay at Spicers Balfour Hotel in New Farm, you'll be in the business district, just steps from Wilson Outlook Reserve and 4 minutes by foot from New Farms Cinemas. 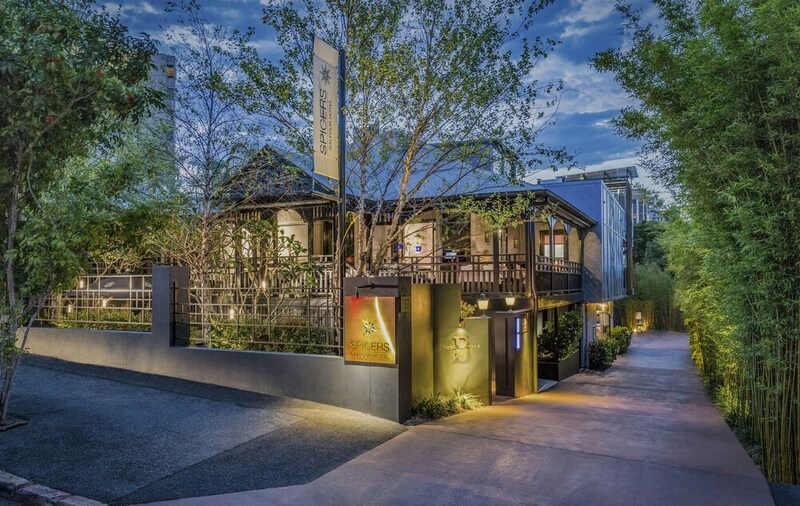 This 5-star hotel is 0.1 mi (0.2 km) from Brisbane River Walk and 0.6 mi (1 km) from James Street. Make yourself at home in one of the 17 air-conditioned rooms featuring refrigerators and LCD televisions. Your pillowtop bed comes with premium bedding. Cable programming and iPod docking stations are provided for your entertainment, while complimentary wireless Internet access keeps you connected. Private bathrooms with showers feature rainfall showerheads and designer toiletries. At Spicers Balfour Hotel, enjoy a satisfying meal at the restaurant. Wrap up your day with a drink at the bar/lounge. Cooked-to-order breakfasts are available daily from 6:30 AM to 11:00 AM for a fee. Featured amenities include express check-in, express check-out, and complimentary newspapers in the lobby. Planning an event in New Farm? This hotel features 22 square feet (2 square meters) of event facilities. Free valet parking is available onsite. The hotel offers a restaurant. A bar/lounge is on site where guests can unwind with a drink. Public areas are equipped with complimentary wireless Internet access. Event facilities measure 22 square feet (2 square meters). This Beaux Arts hotel also offers a rooftop terrace, a library, and tour/ticket assistance. Concierge services and wedding services can be provided. Complimentary self parking and valet parking are available on site. Spicers Balfour Hotel is a smoke-free property. Cooked-to-order breakfasts are available for a surcharge and are served each morning between 6:30 AM and 11:00 AM. Spicers Balfour Hotel has a restaurant serving breakfast, lunch, and light fare. Children 18 and younger are not allowed at this adults-only property. All guests older than 18 are welcome. Parcel deliveries will be accepted only for guests in house or checking in on the day of receipt, and guests must notify the hotel in advance of the package delivery. The hotel cannot be held responsible for lost or damaged goods. For more details, please contact the property using the information on the reservation confirmation received after booking. This property's policy is to refuse certain bookings for the purpose of group events or parties, including pre-wedding stag/bachelor and hen/bachelorette parties. Children 5 years old and younger are not permitted at this adults-only property. Only registered guests are allowed in the guestrooms.